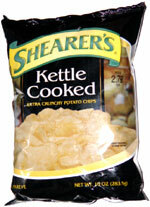 Taste test: These kettle-style potato chips had a good crunch and tasted pretty good. They didn't seem to have all that much salt on them. 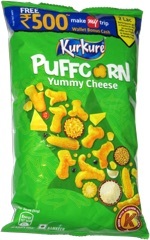 Neither the crunch, taste, nor crispness matched the kettle-cooked perfection of Cape Cod Potato Chips, which set the gold standard for this type of chip, but the Shearer's version was still a very respectable kettle-cooked chip. Smell test: Very nice potatoey aroma.